it’s created and told by the best of storytellers. 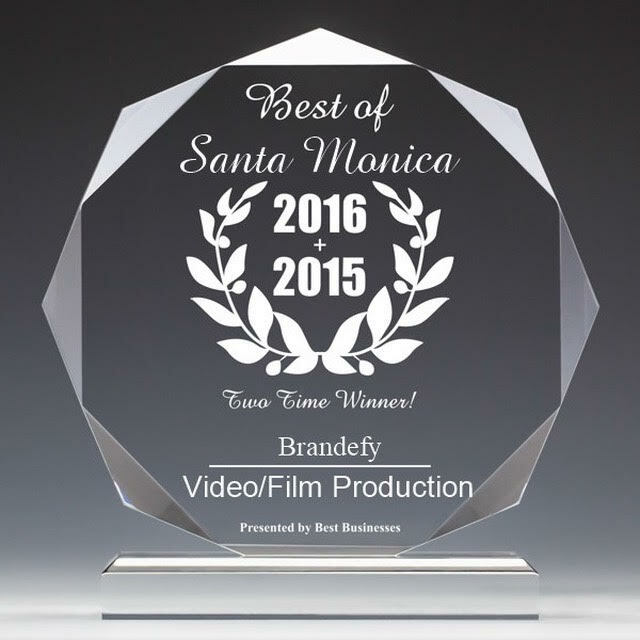 Welcome to Brandefy, an award-winning, full-service Los Angeles video production company creating TV and video campaigns that produce results. At Brandefy, our focus is story. Your story. Every successful campaign is driven by a well-told story and our goal is to enable you to tell yours to the world in a highly compelling and effective way. Unlike many of our competitors, we take a cinematic approach to every one of our clients. With years of award-winning experience in the film industry, we approach every client’s story as we would a film project. Cinema and storytelling is at the core of our world and it shows in the unparalleled products we deliver to our ecstatic clients! From script to screen, Brandefy is your one-stop shop for producing and distributing engaging content. With services including TV commercial and web video production, distribution and consulting, we strive to offer the highest quality work possible within your budget. Our highly experienced team will guide you through the entire process from development to distribution.